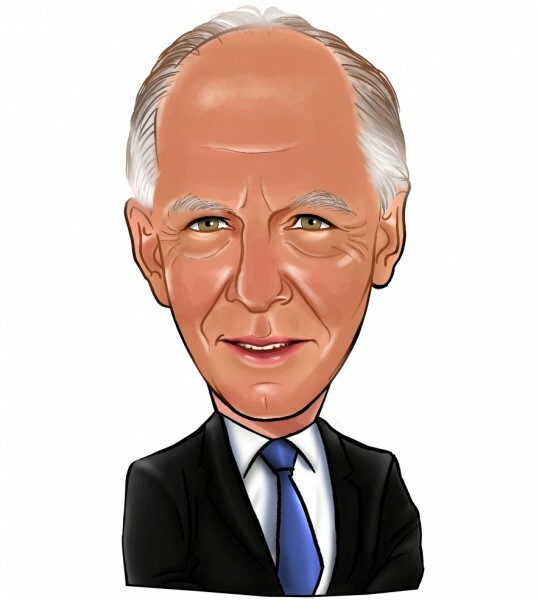 Jacob Rothschild comes from the Rothschild banking family and has an estimated net worth of $5 billion. Mr. Rothschild made the majority of his fortune from being the founder of the J. Rothschild Assurance Group. He is the Chairman of RIT Capital Partners PLC, an investment trust, which was earlier called Rothschild Investment Trust. The investment trust trades on the London stock exchange as RIT Capital Partners PLC (LON:RCP) and has a market cap of $3.64 billion. The investment trust makes its investments in three different areas: equity funds, public equities, and special situations. RIT Capital Partners’ website states, “We hold a core portfolio of leading global businesses which typically comprise three characteristics: companies with an entrenched market position; a history of consistent returns to shareholders and an appropriate valuation.” According to the latest 13F filing of the investment trust, it had a U.S public equity portfolio containing $429 million in holdings, and was focused primarily on the consumer discretionary and information technology sectors. While analyzing the equity portfolio of RIT Capital Partners, we found three intriguing new positions in Walt Disney Co (NYSE:DIS), Colgate-Palmolive Company (NYSE:CL), and Alibaba Group Holding Ltd (NYSE:BABA). We’ll discuss these companies in this article. Walt Disney Co (NYSE:DIS) is a new position in the equity portfolio of RIT Capital Partners. The investment trust purchased 509,000 shares of the entertainment company, valued at $58.07 million. The shares of Walt Disney Co (NYSE:DIS) lost a major part of their yearly gains after weaker third quarter of fiscal 2015 financial results, for the period ending June 27. The entertainment giant lost its seven-quarter-long streak of beating the market’s estimates as it posted revenues of $13.1 billion against the analysts’ estimates of $13.23 billion. However, its earnings per share of $1.45 were better than the market’s expectations of $1.42. The hedge funds in our database were slightly bearish on the stock of Walt Disney Co (NYSE:DIS) during the second quarter. The aggregate holdings in the entertainment company rose only 1% to $4.42 billion despite a growth of 8.82% in the share price of Walt Disney during that period. Out of the hedge funds that we track at Insider Monkey, 60 held equity positions in the company at the end of the second quarter, a drop of four. Fisher Asset Management, led by Ken Fisher, was the largest shareholder of Walt Disney Co (NYSE:DIS), followed by Lansdowne Partners, led by Paul Ruddock and Steve Heinz, with the firms holding 8.45 million shares and 8.32 million shares, respectively.